The innovative, creative and entertaining music of Bjorkestra has been mesmerizing audiences and transcending boundaries of jazz and popular music. With its engaging blend of innovation, brilliant improvisation and danceable grooves, the Bjorkestra offers a unique musical experience for audiences. Buy Bjorkestra tickets and enjoy this spectacular and creative blend of jazz and pop in homage to pop star Bjork. Sorry, No tickets available for "Bjorkestra". Bjorkestra is a genre that bends 18-piece jazz orchestra interpreting the music of one of the most influential pop artists over past two decades, Bjork Gudmundsdottir. The Bjorkestra is led by Travis Sullivan, the alto saxophonist and it performs the music of Bjork, covering her entire career as a solo artist. Besides Travis Sullivan, arrangements are done by vocalist Becca Stevens, saxophonist Sean Nowell and Steve Welsh, baritone saxophonist Lauren Sevian, trumpet players Kevin Bryan, Eli Asher, Brian Pareschi and Ravi Best, trombone players Alan Ferber, James Hirschfeld and Ryan Keberle, pianist David Cook, bassist Yoshi Waki, percussionist Ian Cook and drummer Joe Abbatantuono. Born in 1965, Bjork Gudmundsdottir is an Icelandic singer and song-writer. She is renowned for her eclectic pop musical style and influences from rock, classical, jazz, folk and electronic dance music. A number of her songs have reached in the top 10 charts including It’s Oh So Quiet, Army of M and Hyperballad. She has sold millions of albums worldwide, toured all around the world and garnered huge popularity and recognition. Her profound music, distinctive delivery of lyrics and precise arrangement is what touches millions of hearts. She has been honored with four BRIT awards, four MTV Video Music Awards, three UK music awards, one MOJO award and Polar Music Prize from Royal Swedish Academy of Music. She has received thirteen Grammy nominations, two Golden Globe Award nominations and one Academy Award nomination. Ranked eighth among MTV’s list of "22 Greatest Voices in Music", thirty-six among VH1’s list of "100 Greatest Women in Rock and Roll" and sixtieth in Rolling Stone’s list of "100 Greatest Singers of all Time", she is one of the most inspiring and influential pop music star of last 20 years. Spanning Bjork’s pop music career, Travis Sullivan’s Bjorkestra made its debut at New York City’s Knitting Factory in 2004. They have performed all around the world, received worldwide recognition and huge international following. Travis Sullivan’s adaptations are renowned for being extra-ordinary powerful and provocative. Some of the most memorable performances of the Bjorkestra include their performance at Montreal International Jazz Festival, the Jazz Standard and the Blue Note in 2008 and in Milan with Dave Douglas in 2010. The Bjorkestra released its debut CD in 2008 with Koch Records. Titled as Enjoy, it featured some famous work of Travis Sullivan including Alarm Call, Who Is It? And Overture To "Dancer in the Dark" among many others. Bjorkestra has been well received by critics. It has been featured in diverse publications like Jazz Times, Relix Magazine and the Wall Street Journal. Travis Sullivan has also conducted arrangements of Bjork’s music with The Cologne Contemporary Jazz Orchestra, The Sicilian Jazz Orchestra, Korean Express and The Reykjavik Big Band. The members of Bjorkestra have performed with renowned artists including Charlie Hunter, The Arcade Fire, The Spam All Stars, Dr. Dre and several others. Bjorkestra offers a unique and worthwhile experience of music with its innovation and creativity. 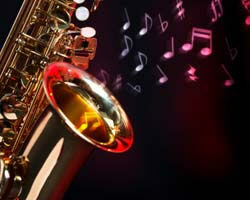 Whether you are a fan of jazz or Bjork, it offers something interesting and memorable that you will cherish for long. With Travis Sullivan’s traditional big band instrumentation, strong vocals and programming and best sonic and visual impacts, the Bjorkestra mesmerizes the audiences. Buy Bjorkestra tickets and enjoy the unique music experience as they pay homage to Bjork’s music through creativity and invention.